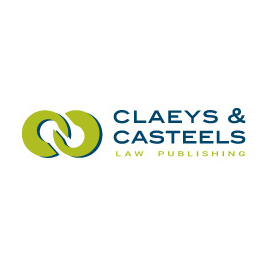 Claeys & Casteels Law Publishing (the Netherlands) is a quality publisher in the European legal market. This publisher only produces titles by key authors – mainly prominent law & policy makers in the EU government and leading practitioners in the field. Current titles focus on two of the most important areas of European law: EU Energy Law and EU Competition Law. Claeys & Casteels publications are recognized as authoritative texts on areas such as the Internal Energy Market, Competition Law and Energy Markets, Renewable Energy, REMIT, State Aid, Abuse of Dominance, and Merger Control. Claeys & Casteels also publishes 3 peer reviewed academic journals: the European Energy Journal (EEJ), Competition Law & Policy Debate (CLPD), and Renewable Energy Law & Policy Review (RELP). Contributions are welcomed and may be submitted to the Chief Editors via info@claeys-casteels.com.